Troian Bellisario’s first post-Pretty Little Liars role is here and it looks crazy intense. The film, Feed, is a thriller co-starring the Pretty Little Liars actress and Tom Felton as twins in their senior year of high school. When a tragedy occurs, their relationship is changed forever, and one twin must learn to live without the other. 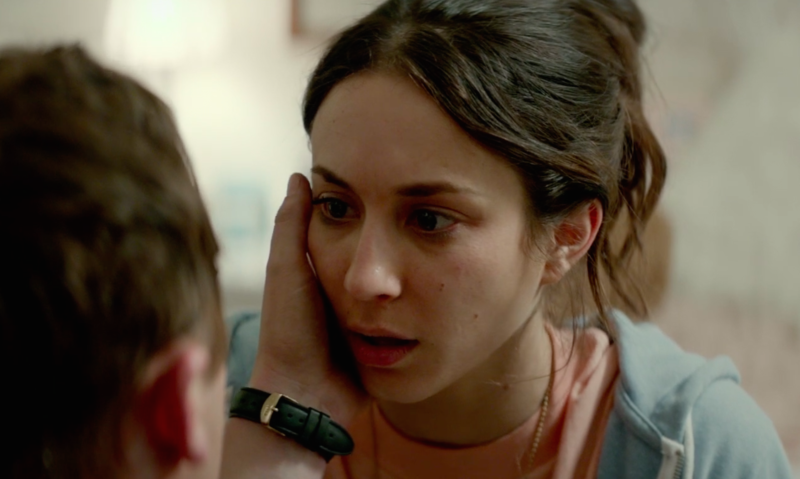 While the plot itself sounds intense, the film, which was written by Bellisario, is actually based on the actress’s own experience with anorexia. For Bellisario, the film is a way of sharing the experience of struggling with an eating disorder and the struggle for control. In April, the Pretty Little Liars star opened up to Rotten Tomatoes about the film, explaining that while the exact events that unfold in Feed are not based on her life, the experience of struggling with an eating disorder is something she wanted audiences to understand. "It’s not the exact events," she said. "What I wanted to do with the film was get the audience to understand what it sounds like and what it feels like to be struggling with that illness." While Bellisario wrote the script for Feed before taking on the role of Spencer Hastings in the Freeform hit series, she revealed that working on a film with such a close connection to her isn’t easy but was something incredibly important to her. We’re so happy Troian is speaking so frankly about how debilitating eating disorders are. We hope her message and this film encourage more people to engage in conversations about eating disorders and how to properly help those in need of support.